Don’t be stuck in a bland living space and spruce up your home with new appliances, plants, lighting and much more from Lowe’s ®Home Improvement. Making its mark as one of the largest appliance retailers in the world, Lowe’s* offers customers products to help rebuild and maintain their homes. 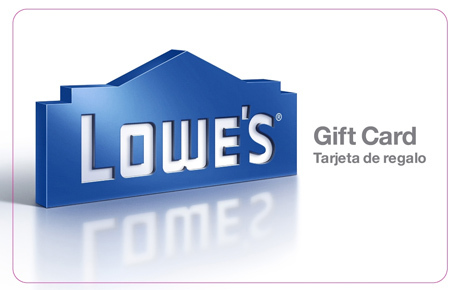 Give your haven the kick it needs with this exclusive Deals Magazine offer: $5 for a $10 Lowe’s Gift Card. Lowe's comprehensive catalogue of home improvement merchandise keeps hardware junkies and house builders sufficiently satisfied. With more than 500,000 products available by special order, Lowe’s supplies convenience with its wide and fully stocked aisles in-store, and accessible online shopping on their website. Revolutionize your home with necessities and luxuries using this exclusive deal.